Forget waiting tables between classes. Get an internship and get paid! You’ve heard of internships. Even if none of your friends have completed one, you’ve seen them in plenty of movies and TV shows. From the 2006 Will Smith tearjerker The Pursuit of Happyness to Vince Vaughn and Owen Wilson’s 2013 two hour Google commercial The Internship, these positions are often portrayed as thankless, arduous, and ruthlessly competitive. What is an internship, anyway? 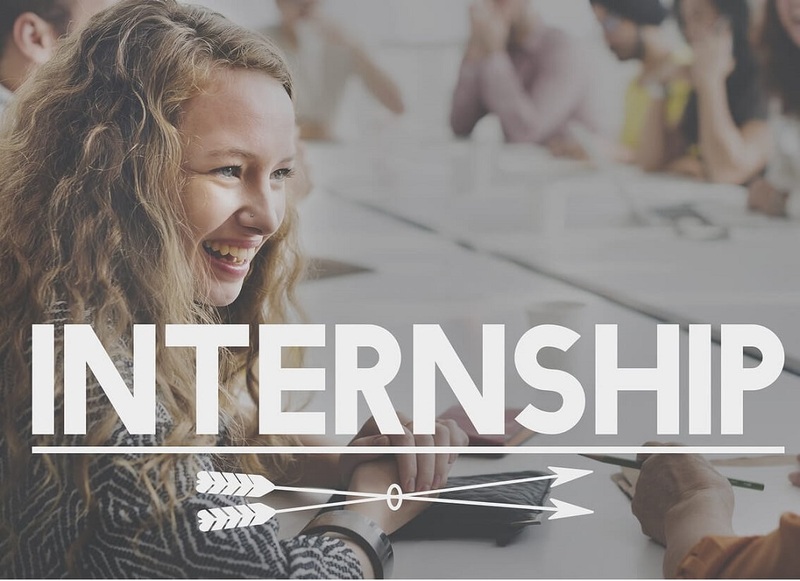 An internship is a pre-professional training program in a real company, government office, or nonprofit organization. It can include shadowing a professional, one-on-one training, and guided practice in a particular field. Most interns are supervised by one or more mentors. These are established professionals who have expressed an interest in teaching and guiding industry newcomers. Mentors typically receive some compensation for the extra work of training an intern. Speaking of compensation, don’t worry about fitting your internship in between classes and your shifts at the coffee shop. If you’re used to working a part-time job while maintaining a full course load (typically four classes), consider applying for semester or year-long internships to gain field experience while boosting your bank balance. Most legitimate private sector internships offer pay well above minimum wage, and top tech companies pay their full-time summer interns upwards of $6,000 a month. Students in fields such as education and social work aren’t quite so lucky; government programs and nonprofit organizations are exempt from the Fair Labor Standards Act, so these internships are usually unpaid–plus, your university will probably charge you for credits earned. One semester of unpaid student teaching can be a real financial hardship for students pursuing a career notorious for its low salaries. The flip side is that teaching and social work internships are pretty heavily regulated, and you’ll definitely get the invaluable learning experience you’re looking for. Getting the Most Out of Your Internship. Before you start looking for an internship, think about why you want one. Are you looking to gain work experience relevant to your field of study? Be able to list a premier company on your resume? Get your foot in the door and lay the ground work for a job after graduation? Are you willing, or able, to work an unpaid internship? Knowing what you’re looking for and what you hope to gain from an internship makes it easier to evaluate internship opportunities that come your way. As you are applying and interviewing for internships, make sure to ask plenty of questions to check if it aligns with what you are looking for. The reasons organizations hire interns vary greatly. It may indeed be they just need some cheap, or free, labor to do “grunt work”, this is common with smaller and start-up organizations. Larger, perhaps more prestigious organizations often have formal internship programs. These larger programs will likely provide a lot of structure, multiple mentors, guided experience, training and formal feedback. Keep in mind however, the more prestigious the program, the more competitive it is to get in as an intern. Don’t lose heart if the internship you land is not one of these esteemed formal programs. You can gain valuable experience and lessons from ANY internship. So, once you land the opportunity, go into it with an open mind and ready to learn. Now that you have a good picture in mind, start exploring internship opportunities. Speaking of finding internships, where are they posted? Should you search on online? Is it okay for a family member to hire you for an internship? Where do you look for these opportunities? Well, just about anywhere. Visit your college career center. This a great place to start. Career centers often host a career fair. If they do, make sure to attend. College career fairs are often the place companies attend for the sole purpose of recruiting interns. A bit of advice on career fairs. When you go, try to visit as many company booths as possible. Don’t waste forty-five minutes of a three-hour career fair standing in line to talk to one company. Meet and hand your resume to as many company representatives who will accept it. You may even want to come up with a 30-second introduction. Something like; “Hi, I’m Cory. I’m studying XYZ and looking for an internship that will give me some work experience”. Most college level lecturers and professors have one foot in academia and the other in the real world. Even if they left the rat race decades ago, teachers tend to keep tabs on their industries and many maintain relationships with former colleagues. For internships in competitive fields, a referral from a respected instructor can give you an advantage. Know any adults with jobs? College is the time to leave the kid’s table behind and get chummy with the grownups in your life. Put down your phone and practice your people skills next holiday season by chatting up family friends and relatives. Ask about their work and talk to them about your goals. Mention that you’re looking for internship opportunities, and if they don’t offer to refer you, ask! What if a relative offers you an internship at his or her company? Be careful when it comes to nepotism. An internship should not be a position your aunt or uncle created just because you need a job. Neither should that position necessarily go to you if there are more qualified candidates. Most colleges maintain career centers and online job portals for students and alumni. Companies seeking local talent often advertise openings at colleges and universities in order to screen out long distance and unqualified applicants. Start watching for internship postings in February or March. Late winter, early spring is intern recruiting season for many organizations. If you have certain companies you are targeting for your internship, contact them and inquire if they have a program. If they do, find out how to apply. If they don’t have a program, ask if they would consider hiring an intern. Be a Rockstar Intern – Success as an Intern is Up to You. No matter what type of internship you get, the idea is to be a “rock star intern” in that specific company’s eyes. With the right approach and attitude, you will gain valuable experience and lessons from ANY internship. So, once you snag the opportunity, go into it with an open mind and ready to learn. Here are just a few advantages of working an internship, even if it’s not a high-brow, formal program. Real world experience. Even just being in the setting of your chosen field, seeing how things work, who does what, getting the feel for it so to speak can be immensely valuable. Maybe you are studying film and land an internship on a set as an assistant to the assistant of the production assistant. Even though your duties don’t amount to much more than fetching coffee; you do get to be on set and witnessing how film production works. Become a sponge; watch, listen, learn. Contacts and relationships. You don’t have to have a formal mentor assignment to get mentored. Make it a point to learn as much as you can from every person you meet on your internship. Hang out with people at lunch. Ask questions. How did they get to where they are in their career? What skills do they have and how did they learn them? What do they enjoy most? What are the challenges they face? You will not only learn volumes, but you will form trusted relationships with people already accomplished in the field. These relationships can serve as valuable contacts in the future when you start to look for your real job. Or maybe even lead you to that job. Just do it. While you are an intern, get with the program and do the job asked of you. You are not going to change the world in a three-month internship so don’t expect to influence standing corporate norms. Follow directions, follow the rules and don’t try to buck the system. You may remember the story that went viral last summer about a group of interns that got fired. Seems they all felt the company’s dress code should be relaxed. So, they put together a petition expressing their opinion and presented it to management. Sadly, they learned a tough lesson that businesses don’t run on a democratic platform. The business makes the rules and employees are expected to follow them. Still, they did learn a valuable lesson about the work world, albeit not the lesson they expected. Bottom line is that your success in an internship is entirely up to you and entirely to your benefit. No matter if it’s paid or unpaid; a formal program with a large organization or a chance to run errands at a startup, how you approach your internship makes all the difference in whether you flourish or flounder. So, is an internship right for you? Start applying and find out!